On Your Mark, Get Set, Waiver! When Bicyclists Sign Their Rights Away. As an attorney who represents injured bicyclists, and who also sponsors cycling clubs, race teams and bike events I love and hate exculpatory agreements. These rights waiving documents can be devastatingly bad for the individual cyclist who has been harmed due to someone else's negligence. On the other hand, such waivers protect cycling groups who invest time, money and resources in putting together events that bicyclists enjoy. Generally, an exculpatory agreement is a document in which one party agrees to waive his or her right to seek compensation or sue for injuries caused by the other party's negligence. Sometimes these agreements are referred to as waivers. Most bicycle race and event organizers require participants to sign such an agreement before hand. Virtually all 50 states have their own set of laws regarding whether and when exculpatory agreements may act as a bar to liability. Here in Illinois our appellate court had the opportunity in 2011 to consider the binding effect of a waiver used widely by USA Cycling, the national governing body for bike racing in the United States. The Court felt that the presence of nonparticipants in bicycle races was an inherent and reasonably foreseeable risk. It also concluded that in any event the language of the agreement clearly contemplated the possibility "of collision with pedestrians, vehicles, other riders, and fixed or moving objects." 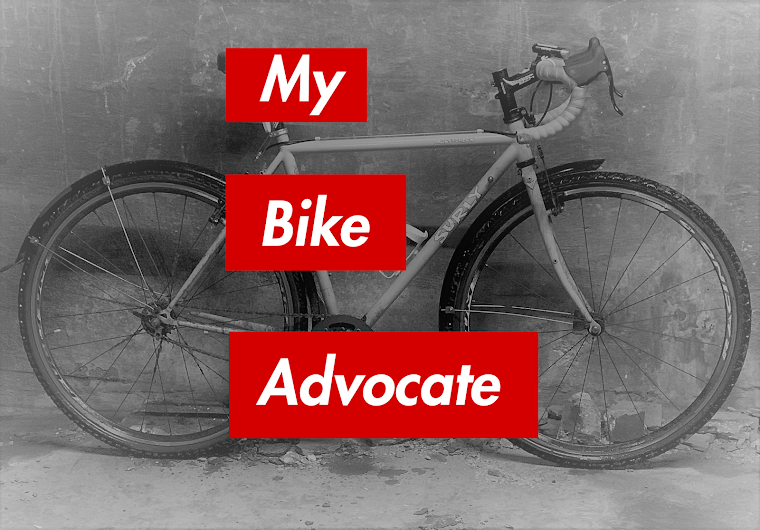 While Hellweg was a clear victory for race and bike event organizers it is important to point out that it does not stand for the proposition that exculpatory agreements will bar liability in all circumstances. They don't. Waivers do not bar liability for willful and wanton conduct; that is conduct in which one shows a reckless disregard for the safety of others. For example, an organizer who threw ball bearings onto the course during a race would not be protected where his conduct caused injury to a rider. Use of fraud to induce one to sign an exculpatory agreement would also void its protection. The bottom line, however, is that before participating in a race or other bike event requiring a waiver of your rights, understand what you are getting into. If you are injured have an experienced attorney review the waiver language and consider the circumstances of the crash to determine the likelihood that your rights have indeed been waived. Below is a point of view video of a bicyclist getting doored by a taxi cab passenger from his right while riding in a bicycle lane in New York City. The bike lane is located along the right side of a one way street. The layout reminders me of Dearborn Avenue, north of Kinzie. It is terrifying, though apparently the cyclist was not seriously injured. There are a couple of interesting things about the video. Let's assume for the moment that this incident occurred in Chicago instead of NYC. The taxi cab driver did an awful lot wrong here. By failing to pull to the curb to disembark his passengers he would have violated Rule 5.18 of the City of Chicago Public Chauffers Rules & Regulations which states, "Chauffeurs, when discharging passengers, shall do so in a safe and legal manner. Chauffeurs shall discharge passengers curbside." He also would have violated several sections of Chicago’s staunchly pro-bicycle Municipal Code, including section 9-80-035 which requires drivers to look for other roadway users before permitting any door of their vehicle to be opened; section 9-40-160 which requires drivers to exercise due care to avoid colliding with any person operating a bicycle; and section 9-40-060 which prohibits any portion of a motor vehicle to encroach into a bicycle lane. This sort of collision happens a lot in Chicago. We have successfully represented many cyclists who have been doored by taxi cab passengers who disembarked into a bike lane. We are always successful in holding the cab driver responsible. Though the driver is culpable, that does not let the passenger(s) off the hook. Taxi cab passengers owe cyclists, and other road users, a duty to look before opening a door. Within the last two years or so some cab companies in Chicago have installed side view mirrors in front of the rear doors of their vehicles to facilitate passengers' ability to look for cyclists. Many cabs also have window stickers warning passengers to look before exiting. A claim may be brought against the passengers for causing harm in this circumstance. A passenger's homeowners or renters insurance will generally provide coverage. The bicyclist in this video did some things right and a few things wrong. Firstly, he was correct for riding in the far right edge of the bike lane. Usually, the danger from dooring comes from the curb side of the bike lane. Riding along the outer edge of the lane keeps cyclists outside what is usually thought of as the door zone. Secondly, he was wise to ride with a video camera. What happened was well documented should there be a factual dispute later. On the other hand, he seems to have been riding pretty fast; perhaps too fast for the congested conditions. He admits on the video to traveling at about 25 mph. He may have overestimated his speed, but there he is saying it on video. Twenty-five miles per hour in city traffic is pretty damn fast. Also, he is too cavalier about the possibility he was injured. Hopefully, he was in fact okay. But given his speed and the suddenness of the stop, he would have been wise to go to the hospital to get checked out. Perhaps he ended up doing so. He also suggests that he did not want a police report created, stating on video that he tries to never talk to the police. This is foolish. If he needs to bring a claim later for his injuries (if there were any), the taxi company's insurer will insist on seeing a police report to confirm that the crash actually took place. My guess is that the cyclist may wish he could walk back some of the things he said after the crash. In fairness, no one is at their best after getting into a crash. But parts of his video highlight the importance of trying to stay cool following a collision. The fact that he created and posted the video for all to see is much appreciated as it may serve as a device for educating drivers, passengers and cyclists about how to avoid such an incident and what to do afterwards. Illinois municipalities may be held liable for injuries to pedestrians and bicyclists forced into the street by snow piled onto sidewalks and bike lanes by city plows, according to the Illinois Appellate Court. The ruling in Pattullo-Banks v. The City of Park Ridge, 2104 Ill App (1st) 132852 was issued on September 4th and overturned an order entered by Cook County Judge Lynn Egan dismissing the plaintiff's lawsuit against the city. [Ms.] Pattullo-Banks' status as an intended or permitted user -- and whether immunity applies -- must be determined based on the property where [the] alleged breach of duty occurred (the sidewalk), not the property where the injury occurred (the street), and not the mechanism of injury (i.e., whether she was struck by an automobile or tripped on a defect). It is important to note that the Court did not rule on whether the city of Park Ridge acted negligently in creating the obstruction. It merely held that the plaintiff, Ms. Pattullo-Banks, had a right to have a jury consider that issue. Park Ridge was not entitled to have the case dismissed before a jury could consider the facts. The implications of this ruling are significant. Where a municipality in Illinois clears snow in the street at the expense of sidewalk users, forcing them to face danger by entering the roadway instead, it may be held liable where injury results. Also, while the Pattullo-Banks case involved a pedestrian, there is no reason to believe that the Court's reasoning would not also apply to a bicyclist. 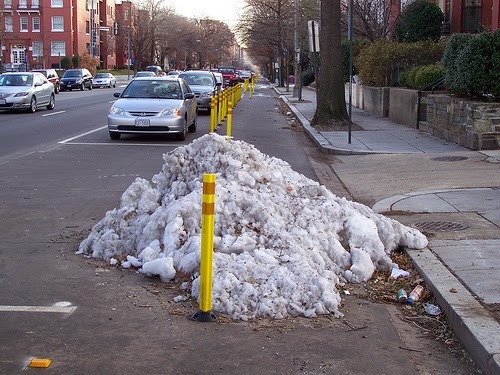 For example, a municipality may be held liable where a cyclist is injured after being forced to exit a bike lane and enter the street due to the piling of snow by city plows clearing way for motor vehicle traffic. Last winter, a particularly snowy one, the City of Chicago frequently moved snow from Kinzie Street into the bike lane near the Merchandise Mart often forcing cyclists out of the lane and into the street. Municipalities in Illinois are now on notice that snow removal is not for motor vehicles, but for all people. If they favor cars and trucks at the expense of pedestrians and cyclists they may be held responsible where harm results.